Supreme Court of India has issued certain important guidelines to avoid the transfer of matrimonial disputes pending in Family Courts. The Bench of Justices AK Goel and UU Lalit was considering a transfer petition filed by wife seeking the transfer of divorce case filed by her husband because she cannot undertake long journey and contest the proceedings at Jabalpur by neglecting her minor child. She also alleged that she apprehends threat to her security in attending proceedings at Jabalpur. “We are prima facie of the view that we need to consider whether we could pass a general order to the effect that in case where husband files matrimonial proceedings at place where wife does not reside, the court concerned should entertain such petition only on the condition that the husband makes appropriate deposit to bear the expenses of the wife as may be determined by the Court. The Court may also pass orders from time to time for further deposit to ensure that the wife is not handicapped to defend the proceedings. In other cases, the husband may take proceedings before the Court in whose jurisdiction the wife resides which may lessen inconvenience to the parties and avoid delay. Any other option to remedy the situation can also be considered. Thus the Bench considered the question, whether an order can be passed so as to provide a better alternative to each individual being required to move Supreme Court. The Court held that it is necessary to issue certain directions which may provide alternative to seeking transfer of proceedings on account of inability of a party to contest proceedings at a place away from their ordinary residence on the ground that if proceedings are not transferred it will result in denial of justice. The Bench observed that one cannot ignore the problem faced by a husband if proceedings are transferred on account of genuine difficulties faced by the wife. The husband may find it difficult to contest proceedings at a place which is convenient to the wife. “Thus, transfer is not always a solution acceptable to both the parties. It may be appropriate that available technology of video conferencing is used where both the parties have equal difficulty and there is no place which is convenient to both the parties. We understand that in every district in the country video conferencing is now available. In any case, wherever such facility is available, it ought to be fully utilized and all the High Courts ought to issue appropriate administrative instructions to regulate the use of video conferencing for certain category of cases. Matrimonial cases where one of the parties resides outside court’s jurisdiction is one of such categories”. 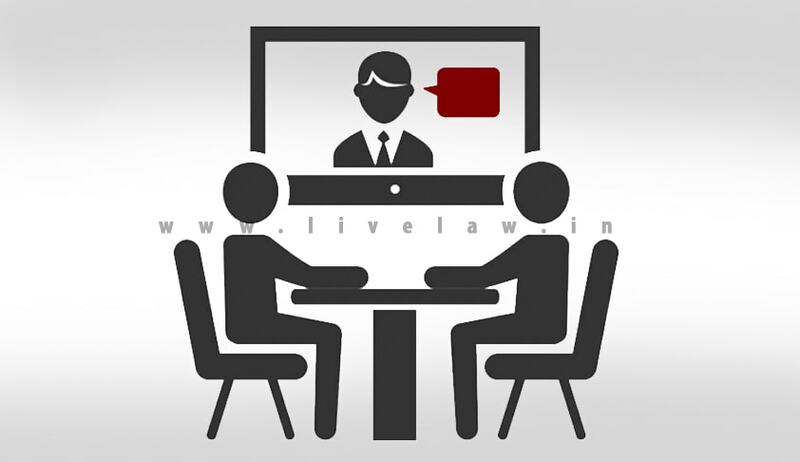 The Bench directed that wherever one or both the parties make a request for use of video conference, proceedings may be conducted on video conferencing, obviating the needs of the party to appear in person. The Bench also suggested that the Legal Aid Committee of every district ought to make available selected panel of advocates whose discipline and quality can be suitably regulated and who are ready to provide legal aid at a specified fee. Such panels ought to be notified on the websites of the District Legal Services Authorities/State Legal Services Authorities/National Legal Services Authority. Every district court must have at least one e-mail ID. Administrative instructions for directions can be issued to permit the litigants to access the court, especially when litigant is located outside the local jurisdiction of the Court. A designated officer/manager of a district court may suitably respond to such e-mail in the manner permitted as per the administrative instructions. Similarly, a manager/ information officer in every district court may be accessible on a notified telephone during notified hours as per the instructions. In matrimonial or custody matters or in proceedings between parties to a marriage or arising out of disputes between parties to a marriage, wherever the defendants/respondents are located outside the jurisdiction of the court, the court where proceedings are instituted, may examine whether it is in the interest of justice to incorporate any safeguards for ensuring that summoning of defendant/respondent does not result in denial of justice. iii) Deposit of cost for travel, lodging and boarding in terms of Order XXV CPC. iv) E-mail address/phone number, if any, at which litigant from out station may communicate.